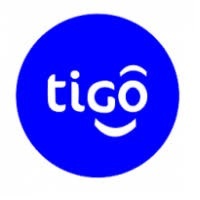 JOB PURPOSE: You are responsible to contribute to Tigo’s strategic goals, Improve the performance of Tigo Tanzania, Create team spirit based on the Tigo Values, lead the overall management of the Human Resources Department in developing the company wide human resources programs; policies and practices as well as Plan, organize, develop, implement, coordinate and direct the HR function. • Provide overall guidance and direction to the HR areas of Talent Acquisition, Talent Development, Total Rewards, employee relations and welfare, Internal communication and engagement, performance and development, as well as overtake HR Strategy development and execution. • Lead the Talent management agenda and execute on the Employee life cycle. • Provide solutions for complex people issues by implementing HR programms that foster sound employee relations and engagement. • Act as the key advisor on all matters relating to employ relations and employment law for respective business units. 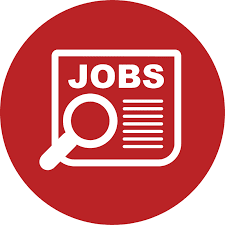 JOB PURPOSE: To efficiently and effectively coordinate all Network related projects including but not limited to RAN, Core Network, IP/MPLS and Microwave Transport networks deployment to deliver business values within approved time, within budgeted, cost and acceptable Quality. • To coordinate all Network related projects including but not limited to RAN, Core Network, IP/MPLS and Microwave Transport networks deployment. • Handling project documentations, end to end coordinating project activities to completion including meetings and resource support on the projects under direction on PM. • Organizing and documenting project meetings and processes, gathering necessary resources as they pertain. • Track project progress and quality of work being performed by vendor or third parties to ensure compliance with Tigo policies and quality standards. • Assist PM on developing project delivery plans, clearly defining roles and responsibilities and milestones. • Support PM in conducting technical feasibility and defining specifications or preparing BOQs, RFQs, RFPs, SoW. • Coordinate and facilitate Weekly project progress meetings with stakeholders including MSP Team, Facilities, vendor to discuss the status, issues and action plan on various projects. • Manage relationships with vendors to ensure projects are delivered as per plan.